Today I am celebrating a milestone. 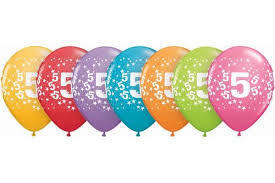 Caron Cares has reached it’s 5th Birthday. Most Bloggers get bored and give up after one year, but I am still going strong. I am probably even more committed to helping people caring for the elderly as the care sector continues to collapse around us. It seems like yesterday when a friend of mine said “What about a blog?” when I suggested to him, I wanted to write a newsletter to share ideas about caring for someone elderly. I had, after all, cared for my Mother in Law for many years, and my Grandparents, and gained a few elderlies needing help along the way. And so it all began. I was awful to start with. I found awful images, scared of being sued for using ones from Google and I wrote in a stiff, reporter-like style. I am not hugely different or better 5 years on but more people ask me to write for them and I can now add, writing to my list of growing passions! Over the years I have attracted a social media following. I needed to to get people to read my blog, it was a necessary task. That following has however become a community. A community of like-minded people, carers, unpaid and employed. I help them and now they help me with stamps and donations to help what I do. These help me send out more of the dementia assistance cards and communication sheets. Pockets of sheer excellence in care only highlight the huge difference between best and worst, and that saddens me deeply. It should give me hope but with care homes closing on a daily basis and carers leaving the sector in their hundreds, I am concerned rather than hopeful. I have personally come a long way with Caron Cares. It has made me outspoken and willing to fight and challenge even if I can’t change things. Some would ask “What’s the point?” – I say “It is our duty to make a difference”. Lone voices joined will eventually make a task force to be reckoned with. One day, someone has to listen before this situation deepens to the point of no return and our so called developed nation sees more elderly people living on the streets. I have observed care in the balance but never thought the balance would tip so rapidly and dramatically. What can we do? I believe we need a societal solution. Each and every one of us doing something practical to help. Bring back community spirit, many people in the UK don’t even know who they live next to. We can all play a part in making the lives of the elderly better. Just a quick hello for a cup of tea is all some people need to prevent them becoming isolated and lonely. Loneliness kills, and it is preventable. I digress! I often do! From technophobe blogger to winner at the UK Blog Awards 2016 and care columnist for glossy, lifestyle publication, Devon Life.My blogging journey has been a blast. Hard work, admittedly. I am still part-time, but this blog has become a way of life. If you cut me open I would have “Caron Cares” right through me like a stick of seaside rock! If you have just joined me, Thank You. If you have been with me for a while, Thank You even more. I do sometimes sit here merrily tapping away at my keyboard wondering who will benefit from what I do. The beauty of a blog over social media is the permanency. Facebook and Twitter are fast, meandering rivers of communication, my blog is slower. Still ever changing, evolving but at a slower pace and all archives stored. I sometimes sit here merrily tapping away at my keyboard wondering who will benefit from what I do. If one person does, then I have done my job. I am sure moving forwards in a turbulent future for the care sector more people will find Caron Cares of benefit. More of us will choose to care for loved ones at home as care homes close and spaces are limited. If poor care is the option, who is going to make that choice? What do you want for Mum or Dad. What would you want for yourself? On a happy note. Caron Cares now houses over 800 articles. Use the search bar at the top or look at the Archives drop-down on the left to find the collection.